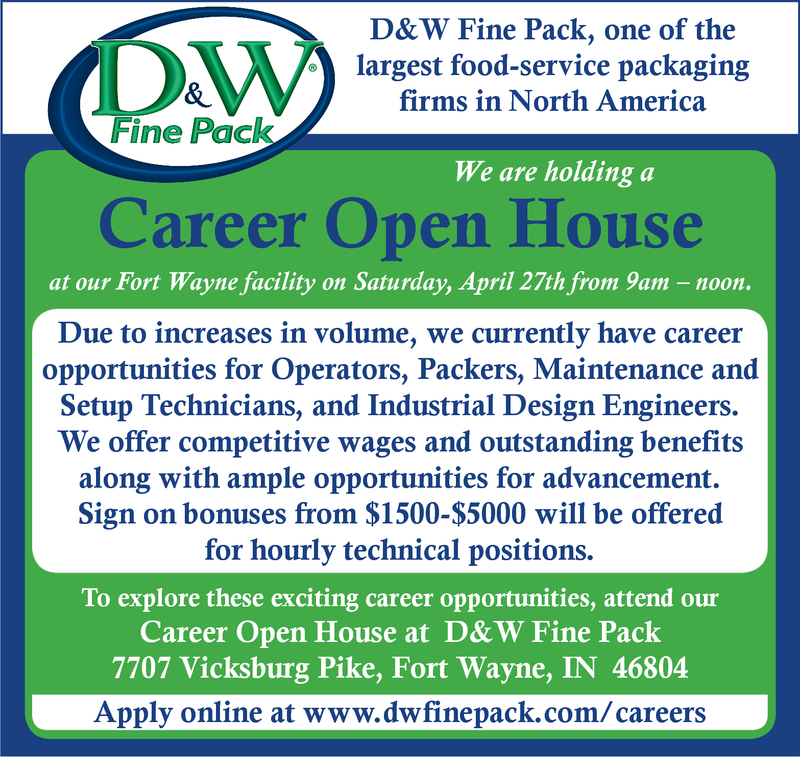 We are holding a Career Open House at our Fort Wayne facility on Saturday, April 27th from 9am - noon. Due to increases in volume, we currently have career opportunities for Operators, Packers, Maintenance and Setup Technicians, and Industrial Design Engineers. We offer competitive wages and outstanding benefits along with ample opportunities for advancement. Sign on bonuses from $1500-$5000 will be offered for hourly technical positions. Click the Apply Button and Visit Our Website Today!